Mercedes SL information: everything you need to know if you own it, are thinking of buying one or just want to find out more about Merc’s coupe-convertible. Click on the links below for all of CAR magazine’s news, reviews, videos, scoops and spy photos of the SL roadster range. We list the top 10 stories for each model – and where appropriate you can click on ‘More’ to browse even more of our archive. The Mercedes-Benz SL has been at the pinnacle of the luxury sports car market for decades. The current iteration mixes a folding hard top, two seats, gadgets galore and a sharp drive. 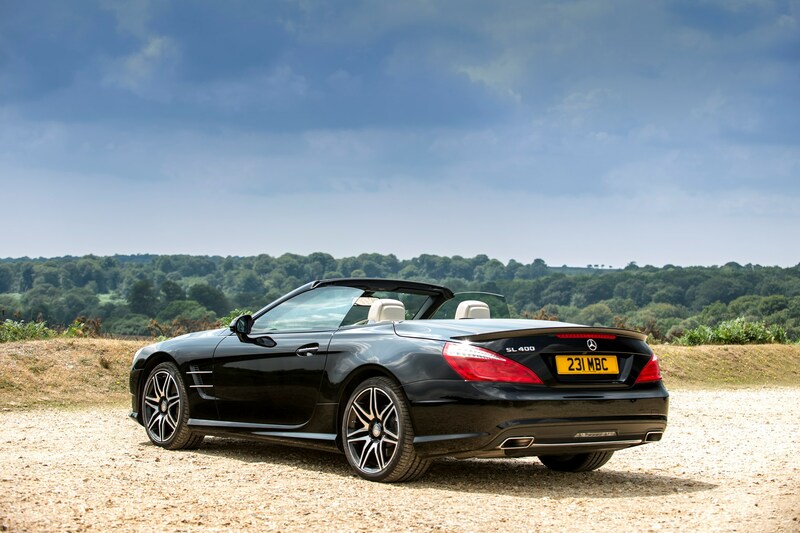 For more information on the Mercedes SL, click on our further stories on the links below. For many, the SL is the definitive large two-seater convertible GT. It’s certainly hard to overlook whenever we’re setting up a group test of cars in this rarefied part of the market. The folding hard top has been honed and fettled over several generations and does a marvellous job of making the SL play as fixed-head coupe by winter or al-fresco boulevardier by warmer summer months. And typically ingenious Mercedes details make it an all-year-round prospect, such as the AirScarf neck warmers that breathe warmly down your back in cold weather. The entry-level SL400 V6 is all the car you’ll ever need, although we’d be tempted to splash a few grand extra to upgrade to the SL500 V8. If you can afford an SL, why compromise? The 63 and 65 AMG models somehow seem counter to this car’s DNA, however. We think the more modest roadsters do everything we’d ask of an SL.